InTone is a non-surgical and non-traumatic treatment which gives our patient the liberty to treat incontinence in the comfort of their own home. InTone™ is the first medical device that combines muscle stimulation and patient-directed exercises with visual biofeedback into a single device specifically designed strengthen the muscles in the pelvic floor while calming spasms of the bladder. 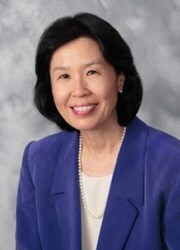 Estelle I. Yamaki, MD., F.A.C.O.G., Carey A.C. Morrill, A.R.N.P., and Candy Thompson, C.N.M., A.R.N.P. of Season’s Women’s Health and Aesthetics have been specially trained to provide InTone treatment for patients. According to Estelle I. Yamaki, MD., F.A.C.O.G., of Season’s Women’s Health and Aesthetics “InTone is a non-surgical and non-traumatic treatment which gives our patient the liberty to treat incontinence in the comfort of their own home”. After prescribing InTone, Estelle I. Yamaki, MD., F.A.C.O.G., of Season’s Women’s Health and Aesthetics customizes the settings for InTone and the patient is shown how to use it at home. A sensor in the unit measures the strength of the patient’s contraction while visual biofeedback is provided to further encourage the patient’s performance. The hand-held control unit uses voice-guided instruction to guide the patient through the exercise routine, reminding her to maintain relaxation of her abdomen, buttocks and leg muscles. Each daily session takes about ten minutes, and data from each session is recorded. After two weeks, the patient follows up with Estelle I. Yamaki, MD., F.A.C.O.G., of Season’s Women’s Health and Aesthetics who will analyze her recorded data and modifies InTone settings based upon the patient’s progress. Patients will continue to follow up once per month for a duration of 14-26 weeks, based upon her diagnosis. To contact Estelle I. Yamaki, MD., F.A.C.O.G., Carey A.C. Morrill, A.R.N.P., and Candy Thompson, C.N.M., A.R.N.P. of Season’s Women’s Health and Aesthetics, please call (253) 838-8733.